Please note: Visitors from outside the Duquesne community should check in at the circulation desk. This exhibition was developed and produced by the National Library of Medicine. The expression "ex-votos" is a Latin phrase (literally translated as "votive offering") and defined as "an offering given in fulfilment of a vow or in gratitude or devotion" (The Penguin English Dictionary). 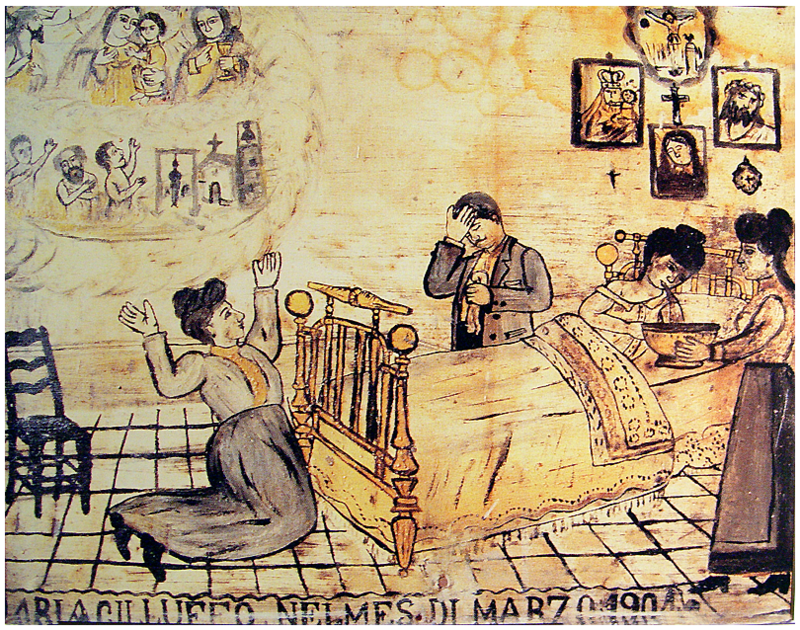 Ex-Votos art is created out of illness and recovery. The paintings document the moment of deliverance from illness, which the painter believes to have been the result of divine intervention. Religious figures, usually saints, Jesus Christ, or the Virgin Mary, are portrayed as being present during the deliverance, either physically or spiritually. 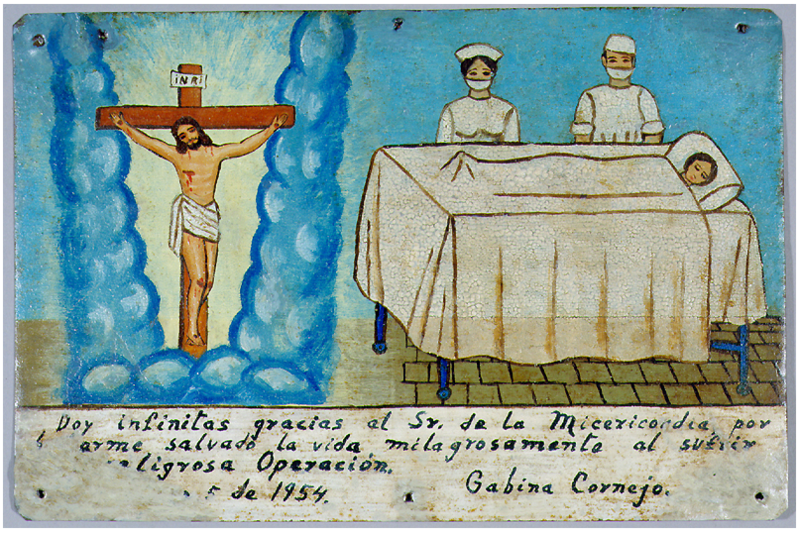 This genre was especially popular during the Middle Ages, but ex-votos art continues to be produced today among European and Latin American cultures, especially those of the Catholic faith. Joyce, Michele. "Ex-Votos: A Way to Say Thank You." Arts and Activities, 140.5 (January 2007). page 40. Full text courtesy of ProQuest Central. Duquesne authentication may be required.